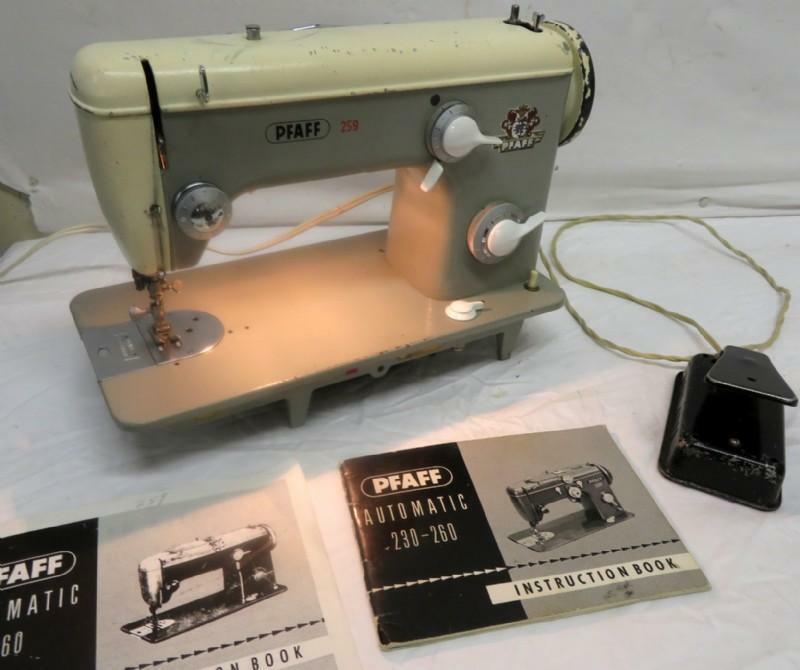 Vintage Pfaff Automatic 259 Sewing Machine with Insruction book. This is a work horse of a machine. 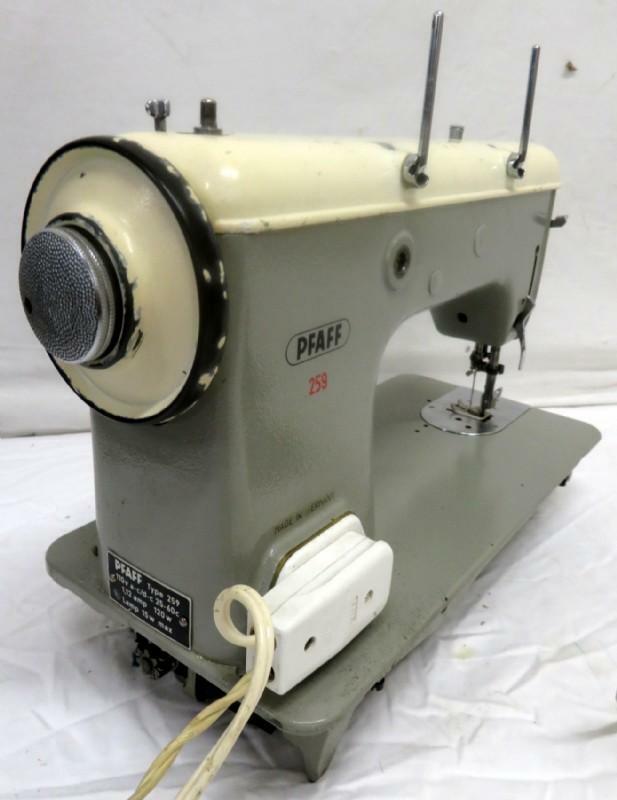 It can sew upholstery, denim andl leather. 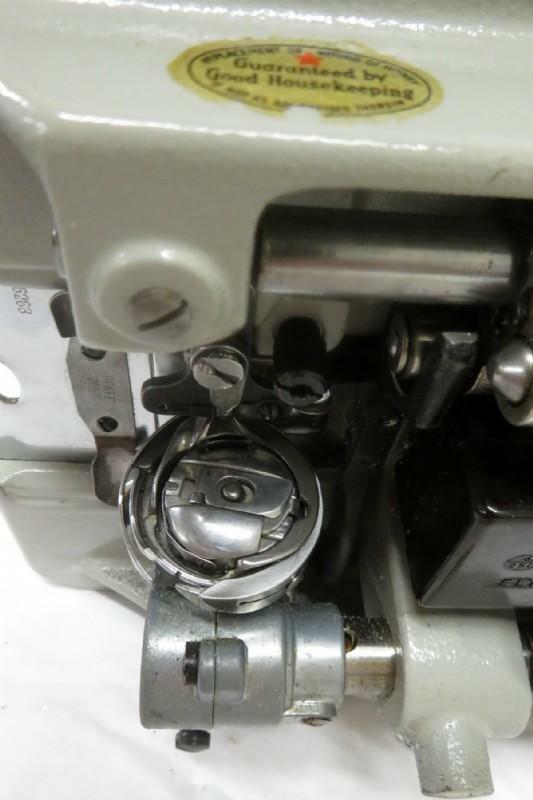 The machine sews great. There is chips on the painted in many places. 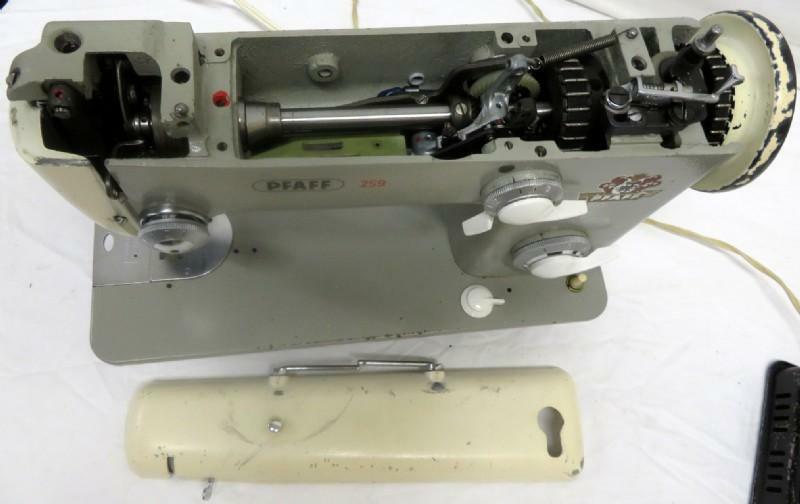 But it does not effect the machine ability to sew and sew well. 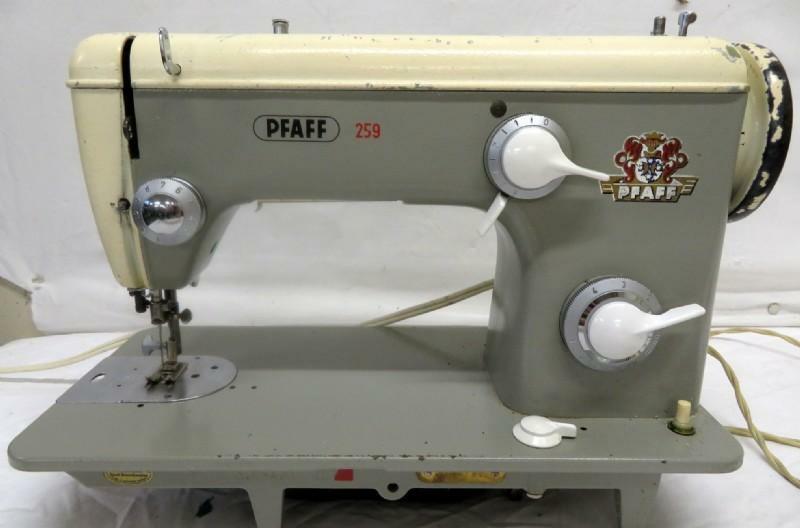 Pfaffs are awesome machimes.